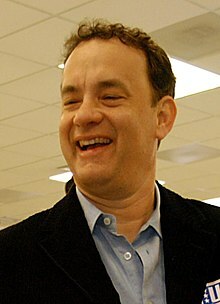 Thomas Jeffrey Hanks, vulgo Tom Hanks appellatus (Concordiae Californiae die 9 Iulii 1956 natus), est histrio et moderator cinematographicus Americanus. Duo Praemia Academiae optimi actoris abstulit, ob pelliculas Philadelphiam et Forrest Gump. Hanks duas pelliculas moderatus est: That Thing You Do (1996), in qua etiam ipse egit, et Larry Crowne (2011), in qua ipse item egit.